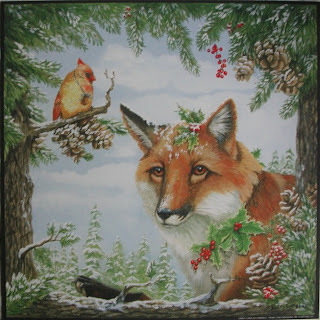 Joy Campbell painting a day: "Winter Fox"
"Winter Fox" acrylic 20"X20 This piece has been very active. Published as greeting cards and lithographs. It is one of a set of four.